Smart blood pressure monitors are not a new wearable tech phenomenon, but Canadian startup Salu has found a way to make keeping tabs on your health more portable with the Salu Pulse+. Set to be available as a wrist-worn band and in smart strap form designed for the Apple Watch, the Pulse+ removes the inflatable cuff from the measuring equation to take blood pressure readings. Both devices are water resistant and packed with sensors that also allows the Pulse+ to monitor heart rate, heart rate variability, oxygen saturation, activity levels. This data is fed wirelessly into the companion app (iOS and Android) where you can view data trends and patterns. 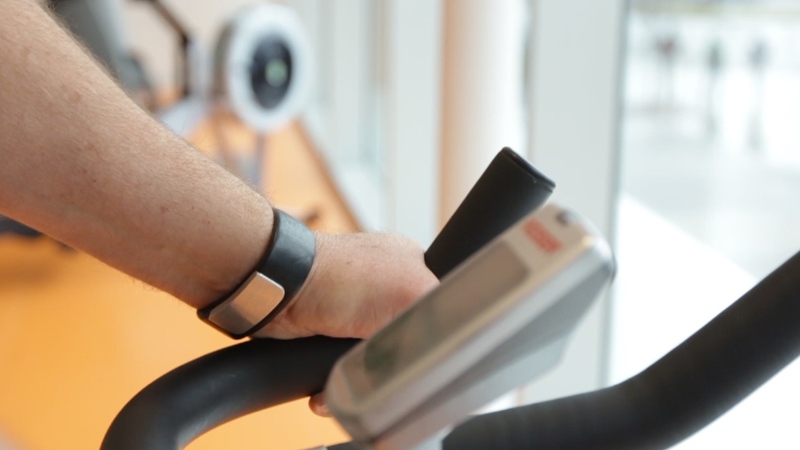 Notifications will remind you take measurements while there's also a secure messaging service that will let you send data to fitness trainers, care providers or clinicians. While the Pulse has all the tools to be considered a medical device, like the Philips Health Watch, it's not been FDA approved. The startup believes it will help create better awareness about monitoring heart health. "The solution won't replace medically oriented care programs, solutions, or doctor's visits–but we believe that the Salu Pulse+will help people tremendously in improving their personal health tracking through daily use," said Randy Duguay, CEO, Salu Design Group. The Pulse+ Band and Apple Watch Band are both going to be priced at $249. You'll be able to take your pick of black/aluminium, salmon/aluminium and white/aluminium colour combination options. There's now news on a release date, but you can keep up to date with the very latest on the Salu website. Salu looks like it's solved a really big problem with monitoring blood pressure at home but the true test will be whether it can still deliver the accurate data to make that more compact design worthwhile.